Now, best friends, kindred spirits, confidants and mentors to each other....forever! As thoughts of my sweet daughter's wedding are dancing through my many thoughts and as I prepare to travel to Oxford, in my mind, this memory is especially poignant. 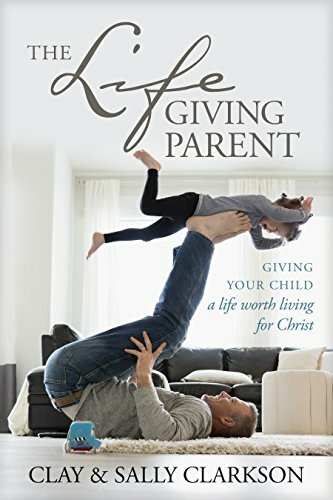 Much of Sarah's life, she dreamed of the husband God would bring, the home where she would shape souls of friends and children alike, the ways she would embody God through all the moments of her life in her own arena. And now, these years later, as Sarah waited for her prayers to be answered, she will enter into the dream and prayers she has prayed for so long. Recently, when my sweet Sarah was home, we sat together again, on our porch, sipping tea. Mother and daughter, and talked of home, children, marriage and building a legacy out of her life. How sweet the time, how short! Take note, young mamas ... the time passes much more quickly than you might ever imagine, but right now you are shaping the God sized dreams your children will need to store in their heart, to build a godly home and to shape generations to come. This memory was when Sarah was just beginning to grow into young womanhood..
Sarah sits cross-legged across from me on our king-sized bed, sipping a cup of hot tea, obviously savoring the adultness of the moment. Tonight, we'll read a chapter from Beautiful Girlhood, a lovely book by Mabel Hale from 1922. We only read a few chapters because we always created books as a diving board from which to explore other subjects and I even found other books to read with her through the years. We'll talk about it, turning topics that might seem mundane to other girls today into matters of serious discussion. 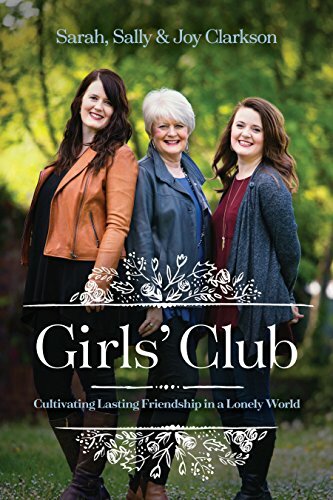 Chapters on propriety, purity, beauty, marriage, building a family and a godly legacy and femininity. All are starting points that take us down various trails of mother-daughter heart to hearts. On other nights like this one we might study the Bible together, share secrets with a whisper, or just giggle a lot. It's our Monday night "girl talk," a special time when we meet privately in my bedroom, just Sarah and me. Although it is supposed to be mostly for Sarah, I sometimes can't help but wonder if the greater impact is on me. As I try to distill, in just a few words, a lifetime of reflection and experience, the Spirit of God reminds me of my responsibility to redeem the time with my children, to make the most of every opportunity (see Ephesians 5:15-17). I think it was taking time alone that built us into such close friends. As I look at my precious thirteen-year-old firstborn, her spirit and body showing the first blush of womanhood, I realize there won't be enough Monday nights to tell her all I want her to know. These days will pass all too quickly in the torrent of time that sweeps away the weeks, months, and years in a rush of living. When we pull away from the current onto our little Monday night island, though, I catch sight of the changes that I have missed in the rush. I see her slowly shedding the cloak of childhood, tentatively trying on the mantle of young adulthood. All too soon, we'll sit on this bed and talk, not just as mother and daughter, but as two grown women. I know I'll never be completely ready for that time, but I pray with all my heart that Sarah will be. I look at the world I am preparing her to enter, and I shudder at the distortions and perversions of true femininity that will vie for my little girl's heart, mind, and soul. And following close on Sarah's heels are two boys who want to become men. Clay will shape their ideas and ideals of masculinity, but God has given me as their mother tremendous influence over their lives. 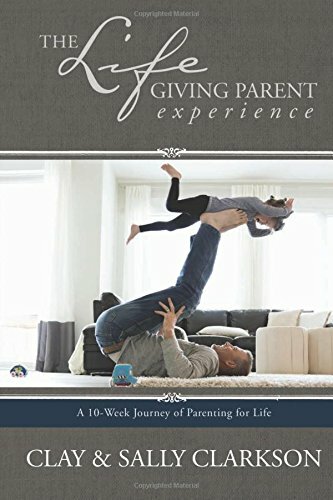 How I handle their transitions to manhood, and the lifelong connections of mother and son, will have a profound influence on the shape and direction their lives take. And then, when most other mothers I know will be facing the "empty nest," sweet little Joy will be entering young womanhood, just as her older sister Sarah is now. And I'll do it all over once again. They set my heart to questioning my own efforts to build the house God has given me. What am I doing? Is it enough? Am I building my house or, God forbid, tearing it down? Is the foundation strong? Will the house stand? Do I know what to do with the few short years God puts these children under my care and influence? Will I be the wise woman? In Sarah's case, will she accept the mantle of biblical womanhood as she becomes a woman, wife, and mother? Will she imitate my life? Will she pick up where I leave off? And now, today, after years of mother-daughter talks, many seasons of wondering how it would all turn out, seeking to hold fast to dreams and ideals, Sarah is engaging in all the ideals we ever talked about together through those many nights. Now, we are best friends forever. Perhaps it would be good to ask these same questions of your own house. Many blessings to you today! Newer PostDon't Forget to Encourage One Another!